We, humans residing in the 21st Century, are heavily dependant on plastic. The harsh reality of the situation is that plastic has crept its way into each and every one of our lives and has made its sweet spot there without any intention to remove itself anytime soon. It’s not like we are making any real effort to make that happen anyway, because plastic is one of the cheapest and intensively used product in the world. 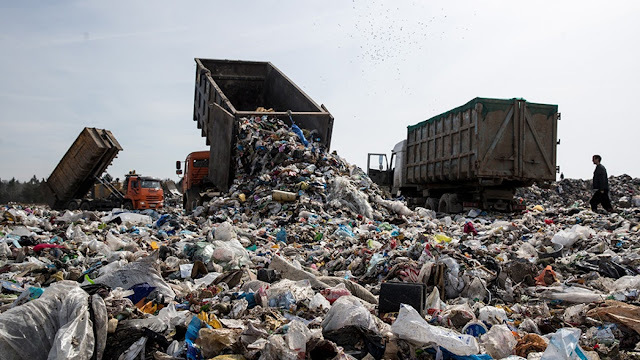 But while we gasp at the apparent economic benefits that plastic provides us with, we are blinded to the essentially fatal components that it carries in its back pocket. Plastic has been heaping up in huge amounts in our landfills, ocean floors, forests and other places that could be adversely affected due to its presence. Somehow, humans could care less about its implications at a time when they should employ more thought and action towards getting rid of the problem. In such a dark time, scientists have made a relieving discovery recently about a certain type of mushroom that thrives on plastic and could prove to be the answer to the incessant plastic problem. Students of Yale University discovered that Pestalotiopsis Microspora, a rare species of mushroom that is found in the Amazon rainforest had the ability to devour polyurethane, the main ingredient of plastic, into a completely organic output. Apart from its affinity towards plastic, this species can survive without the presence of oxygen, which means that it could be the ideal solution to the growing plastic problem in our landfills. Scientists have shown optimism in the success of this idea as they say that plastic-consuming fungi could form the basis of their community waste treatment programs of the future. This would put a stop to the traditional human ways of digging a hole in the ground and dumping all waste in it, which would do more harm than good to the environment and the people nearby. As good news goes, that is not the end of it. Turns out, there are more than one type of mushrooms that thrive on polyurethane. In a recent test conducted in the Netherlands, oyster and other types of mushrooms were placed in agar cups along with plastic waste in a climate-controlled dome. It was seen that the roots of these mushrooms had completely devoured the plastic waste and converted into a lump of organic edible biomass that was completely free from any toxicity. This could prove to be a valuable addition in the arsenal in the fight against scarcity of food in the world. There is no better way to solve the food crisis by converting plastic waste, of which there is a lot, into tasty and edible biomass that could put food on the table of many who were struggling to find any. While scientists conduct further tests to verify this discovery, people everywhere wait with renewed hope in their hearts.